Five years ago, the Supreme Court handed states with a history of discrimination a blank check to make it more difficult for certain demographics to vote. Within 24 hours, they started to cash in. Polling locations closed and early voting windows shortened. No longer subject to federal oversight, state legislators implemented voter identification laws. The court’s landmark decision in Shelby County v. Eric Holder triggered a fundamental shift in managing discrimination at the ballot box. No longer a matter of federal authority, the responsibility to protect voters has shifted from institutions to individuals, who bear the expense and burden of proving that laws have discriminatory intent. As a result, casting a ballot has only grown more difficult. 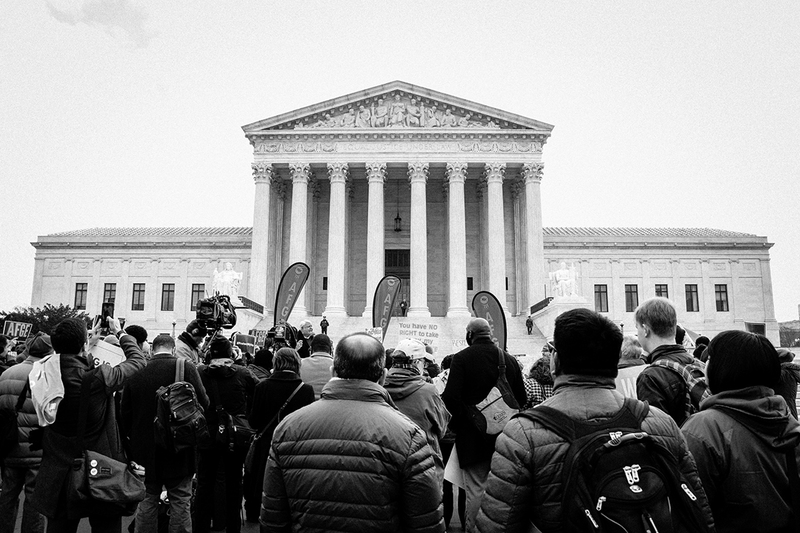 It now takes lengthy court battles to reverse discriminatory election laws. Meanwhile, the laws remain in effect. Central to the debate in the Shelby decision was Congress’s role in enforcing the 15th Amendment, which prohibits denying any citizen’s right to vote. Passed just after the Civil War, the law established federal oversight — much to the dismay of many formerly Confederate states in the south. In response, these states enacted a number of laws designed to keep black people from voting. Among them, legislation authorizing poll taxes and literacy tests. The Voting Rights Act (VRA) of 1965 rendered such measures illegal. Voter registration rates among African Americans skyrocketed in the years following — as did the number of African Americans elected to Congress. The VRA required states with histories of voter discrimination (per Section 4) to present any changes to voting procedures to Congress for preclearance (per Section 5). States bore the responsibility of proving that legislation would not discriminate. 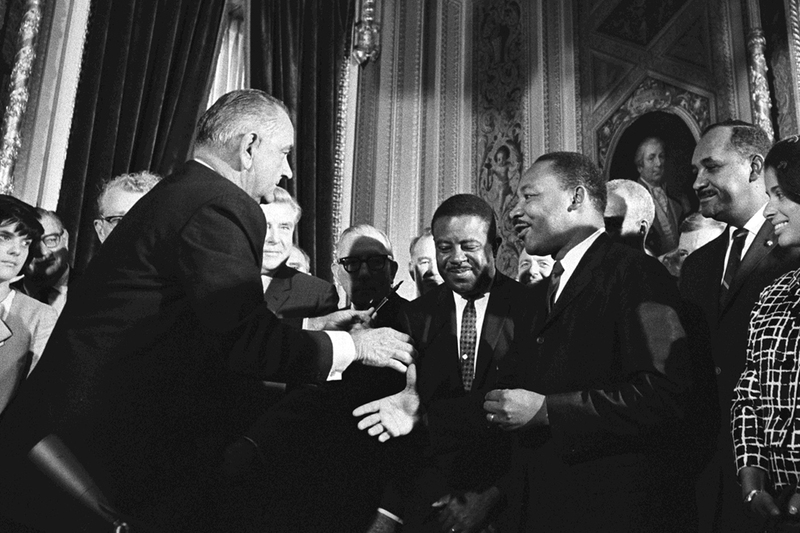 In the decades following its passage, the VRA was continually reauthorized by Congress, and in some cases expanded to further prohibit methods of voter suppression. The “Motor Voter” bill, which passed in 1993, made it easier to register to vote. In 2006, Congress extended Section 5 of the VRA for 25 more years. 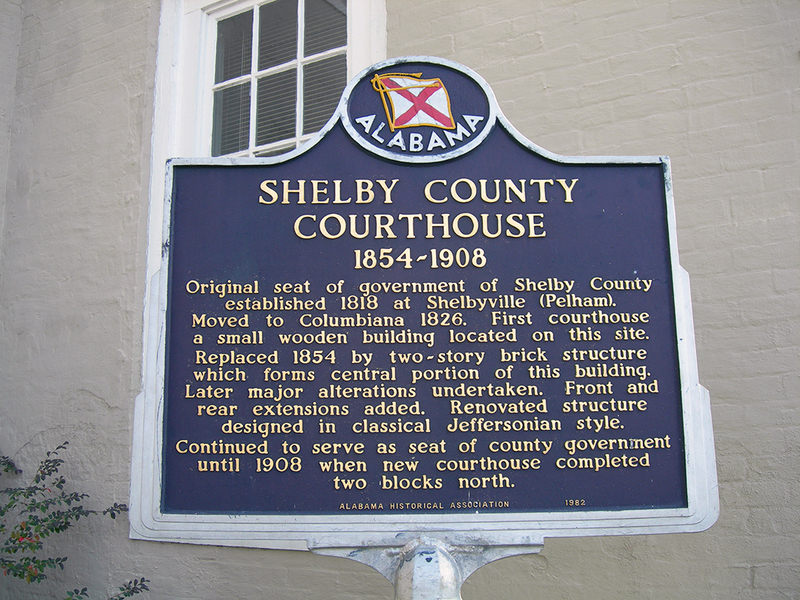 Then, in 2010, Shelby County filed its lawsuit in district court. The plaintiffs sought a declaratory judgment that Sections 4(b) and 5 violated the Constitution. They wanted a permanent injunction against their enforcement. The case moved to the Court of Appeals, then to the Supreme Court, which ultimately declared the relevant sections unconstitutional. By eliminating the preclearance requirement, the Supreme Court, led by Chief Justice John Roberts, effectively transferred the burden of safeguarding rights to individuals. Section 5 did provide a degree of security against overt attempts to keep certain people from the ballot box, but it cost state governments a lot of time and money. The court decided that the burden on states imposed by the VRA didn’t reflect the current need to protect against discrimination. In the past five years, critics charge, this assumption has proven to be naively optimistic. “When you take the pressure off the wound too soon, which is what the Supreme Court did in Shelby County, you start bleeding again,” Pamela Karlan, Kenneth and Harle Montgomery professor of public interest law at Stanford University, told WhoWhatWhy. Moreover, embedded in the decision was the assumption that traditional litigation was up to the task of protecting from discrimination. That judgment wasn’t the correct one, Crayton said. Previously, states had to prove to Congress that new policies would not discriminate. Now people have to demonstrate — after the fact — that laws do violate the Constitution. The bill implemented a host of changes: strict photo ID requirements, restrictions to early voting and registration, shorter opening hours at the ballot box, and the elimination of same-day registration. Three years later, the US Court of Appeals for the Fourth Circuit found the law targeted “African Americans with almost surgical precision.” But in the 36 months between its establishment and the decision, the law remained in effect. Six elections occurred in the interim. The decision represents a shift in how the Supreme Court understands its role in protecting voting rights, some experts contend. 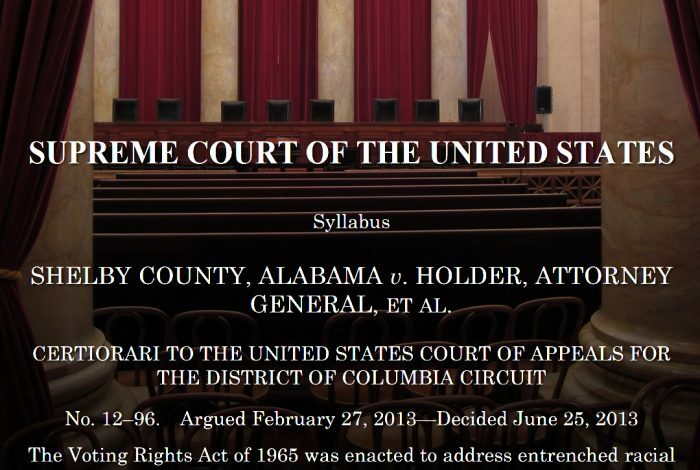 Moreover, the Shelby decision suggests a departure from established views on how the court and Congress interact on voting rights. The decision effectively allowed the court “to look over the shoulder” of Congress, Crayton said. And that’s despite the authority that the 14th and 15th amendments grant to legislators to address constitutional violations. The decision has imposed a more ideological understanding of anti-discrimination cases. “It’s hard to draw a nonpartisan line that defines how this court has decided to intervene and when it has decided not to intervene,” said Crayton. The Shelby decision made it far easier for jurisdictions to change voting laws and procedures — sometimes unnoticed beyond the immediate community. At the Southern Coalition for Social Justice, Crayton plays a key role in coordinating a collaborative effort to track attempts to discriminate. Formed in the wake of the 2013 decision, the Southern Leadership for Voter Empowerment, or SOLVE, funds local community groups to keep their fingers on the pulse and monitor attempts to alter voting laws. Litigation will continue to play a critical role. Legal advocacy groups continue to support lawsuits in the communities where Shelby has had a severe impact. This summer, voters in Iowa filed a lawsuit following an attempt to include provisions in a new voter ID law that would restrict access to the polls. A district judge recently ruled in their favor, issuing a temporary injunction. Still, the Shelby decision makes it harder for people to participate in the very structures that could fundamentally alter the current landscape — elections. That’s precisely why the Shelby County decision poses such a problem for democracy in the United States. Its lasting impact has been to make it far more difficult to elect people — at all levels of government — invested in protecting the right to vote for all eligible Americans. Related front page panorama photo credit: Adapted by WhoWhatWhy from Supreme Court (US Sumpreme Court / Wikimedia).